The resilience of the Wimmera River has increased over the last five years, thanks to environmental watering. Delivering environmental water to the Wimmera River has been essential to protect ecosystem health and the diversity of riverbank plants and animals (such as waterbugs and small fish). Waterway managers aim to build resilience to help the river withstand the impact of floods and drought. Resilience is measured by the ability of a river to retain its structure and functions under stressful conditions (such as having little-to-no water flows and poor water quality). During drought, watering aims to protect important refuge pools, in the deeper parts of the river. In average-to-wet years, watering is needed to increase the duration or magnitude of river flows that improve river connectivity. Indicators like salinity and water levels show how much the river is changing, with surveys of aquatic plants and waterbugs measuring the ecosystem response. 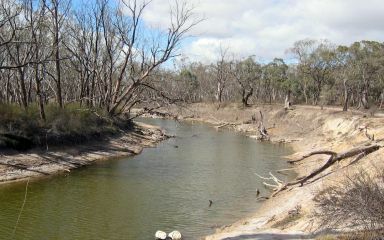 The 2011 floods released the Wimmera River from the effects of drought. Since then, annual environmental watering has been essential to maintaining suitable salinity levels and improving water clarity and oxygen levels, which has resulted in improvements for aquatic plants. Early surveys, starting in 2011, recorded one dominant species of water ribbons. Five years later, in 2016, there was more diversity, with a high abundance of algae and water milfoil that have taken advantage of lower salinity levels. The three photos below show the drought condition of aquatic and fringing vegetation at Jeparit in 2006 and post-drought recovery in 2011 and 2016. These plants create habitat for waterbugs and small fish. Reeds and sedges are starting to grow. They provide habitat and take up nutrients, reducing the likelihood and severity of blue-green algal blooms. 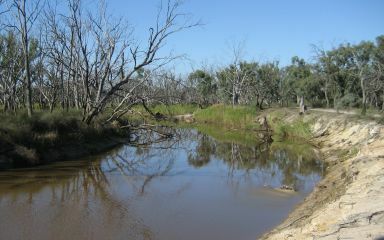 At Jeparit, floods and environmental watering have increased the level and improved the water quality and waterbug diversity of the Wimmera River. Figure 1 below explains this further. Figure 1 shows the average yearly salinity (measured as conductivity µS/cm) and waterbug diversity (measured as the number of waterbug taxa) of the Wimmera River at Jeparit. Waterbug diversity rose as salinity levels fell in response to increased inflows and spring and autumn freshes. No waterbug survey data was available between 2011–12 and 2015–16. However, in the middle-to-lower reaches of the river, rising salinity is still a threat due to groundwater intrusion and evaporation after a series of dry years from 2013–15. In 2015–16, there were insufficient flows for the river. This was most apparent downstream of Dimboola and sites like Jeparit gradually became more isolated and saline. 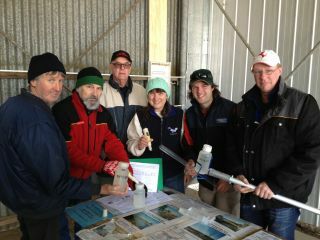 The local community is monitoring water quality, weir pool levels, fish and birds. Jeparit Waterwatch volunteer Jeanie Clark says salinity is increasing. "Up until the last six months, the river had mostly been below 6,500 EC (electrical conductivity) units. That is better than most of the last 21 years we have recorded at Jeparit. However, with such dry conditions in the last year, the river's salinity has been going up monthly." While environmental watering has topped-up pool levels and maintained water quality at many sites along the Wimmera River, in drier times reduced flows and environmental watering will compromise the resilience of the river. 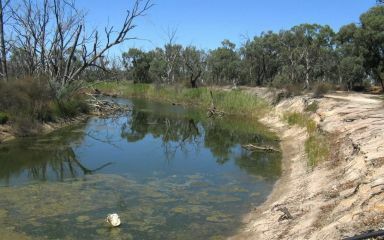 Environmental watering has been used in the Wimmera catchment to support fish, plants, platypus, waterbugs and birds that depend on refuge pools. It has been essential to give plants and animals their best chance to bounce back from drought. A resilient river also helps build resilience in the community. Fish in the river bring anglers to town for the annual fishing competition. The Wimmera CMA works with agencies and community members and groups (such as Jeparit Waterwatch and Jeparit Anglers Club) to deliver a watering program that protects the resilience of the river as much as possible. 1 Brooks, S. and C. Madden, 2016, Environmental Water Contribution to Ecosystem Functions and Resilience in the Wimmera River. Unpublished report to Wimmera CMA, Horsham, Vic. 2 Personal communications with Shane Brooks (see footnote 1).